This nicely sums up the concept behind a new Google Maps mashup – Rome2Rio.com. “The airport to airport thing has been solved really well by Kayak and Hipmunk, so we want to do the other end like from the airport to where you want to go. Because no one goes on holiday at an airport,” says founder Michael Cameron. 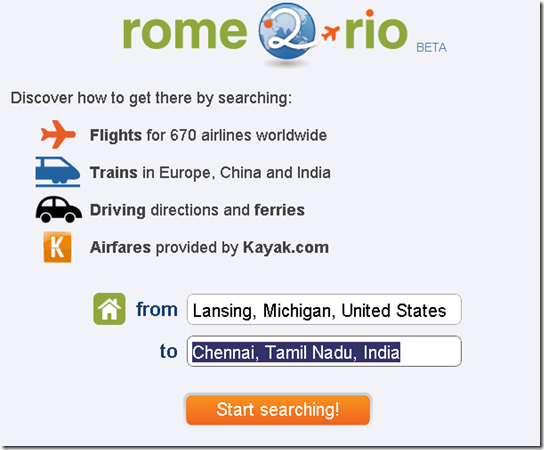 Rome2Rio stands out from the other travel deal search sites which individually searches airfare, hotel fares, cruise deals, car rental deals, etc. 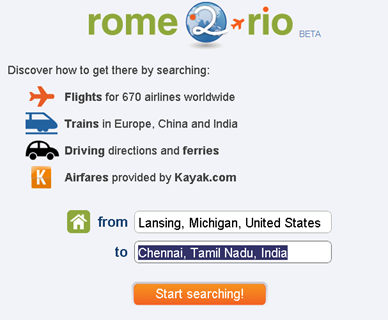 Rome2Rio instead searches for flights, ferries, trains, and driving routes when you enter your starting and ending points in a Google Maps UI. 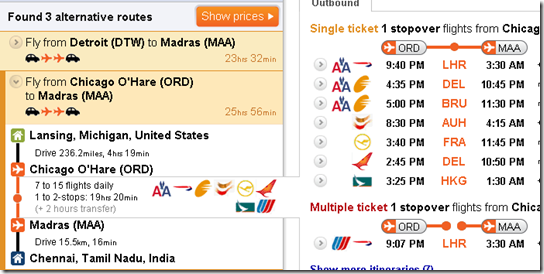 Once you enter your starting place and destination, Rome2Rio finds the driving routes to airports and then shows the airline options before you even put the dates in. 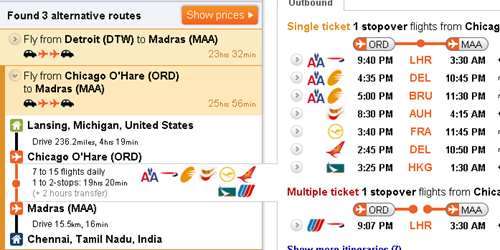 Once you enter the dates, it searches Kayak.com results to show you airfare options. This may not be a big deal here in the US, but taking trains versus plane in Europe could be a savings of a couple of hundred dollars. And it is useful to have services such as this that compares the cost of all options from getting from point A to point B. It would be nice to see some rental car pricing with this too. Check out other travel related webapps I have featured here. As suggested here in Europe city airports are often hundreds of kilometres from the city they’re named after. I learned the hard way that transfers can take as long as the flight itself after flying to Frankfurt Hahn airport for the weekend and having a 90 minute bus journey double our travel time. I wonder if this site also search for the lowest package deal. Most travel agency have package deals which would give the customers discounts on hotel fees and airfares.